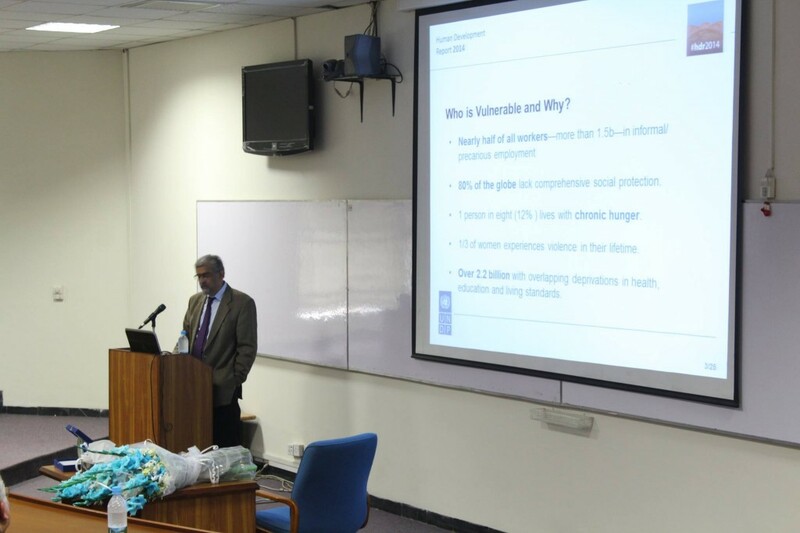 The Department of Economics and Lucas Economic Society held a lecture on Sustaining Human Progress: Reducing Vulnerabilities and Building Resilience by Mr Khalid Malik in Distinguished lecture series. 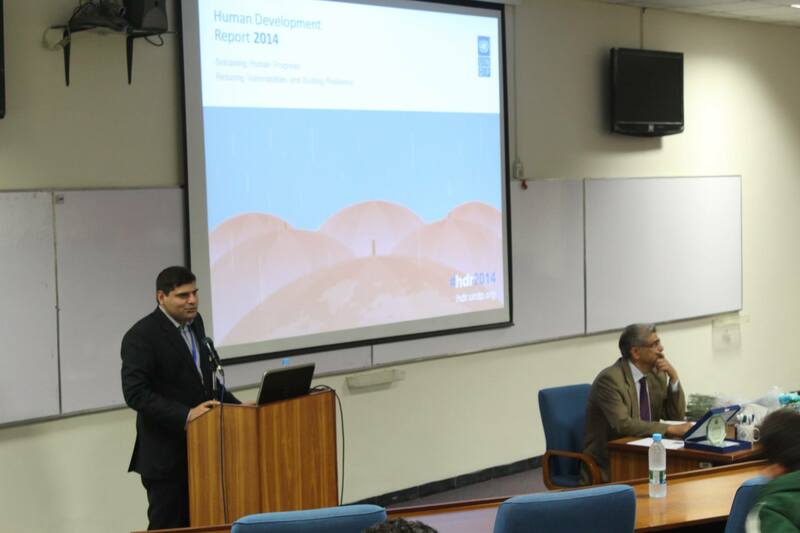 Khalid Malik was a former Director of the UNDP Human Development Report Office from June 2011 until 31 August 2014. He has held a variety of senior management and substantive positions in the United Nations. He served as UN Resident Coordinator in China (2003–2010), Director, UNDP Evaluation Office (1997-2003) and Chair, UN Evaluation Group, and other senior level advisor positions. 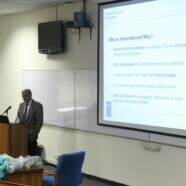 The lecture focused on building resilience through human development and reducing vulnerabilities. Human development requires the development of choices to live a dignified life and how secure these choices are is a challenge of development economics. This requires an extension of the traditional human development index to include equality and sustainability. 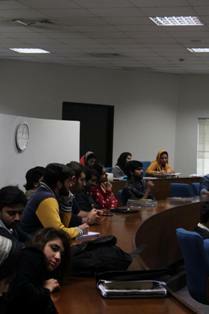 The speaker highlighted the issues regarding human development and its affect across the world. Nearly half of the workers across the world are vulnerable and nearly 80% of the global labour force faces lack of comprehensive social protection, 1 person in eight (12%) lives with chronic hunger, nearly 30% of the women face violence in one form or another. In addition to it, structural vulnerability affects those in poverty, minorities, indigenous people and people with disabilities. Similarly there are life course and life cycle vulnerabilities faced by individuals from infancy through youth, adulthood and old age. Faced with these issues, human development needs to take into account protecting choices and expanding freedoms. In order to realise protected choices and expanded freedoms human development policy needs to consider reforms in following categories. Heath, education and social support. Full employment and social protection floor. The distinguished speaker argued that the need of the day is in the realization that fundamental investment is investment in the people. He also emphasized the proposal of Asian monetary fund and its foreseen role in reducing vulnerabilities in Asia. Every state requires considering a better balance between public and private interests to include collective action in creating public good. Moreover, targeting vulnerable groups on human development agenda and reducing inequalities are essential to human development. In achieving all these ends, a profound role of the state is essential.